Russian President Vladimir Putin and Israeli prime minister Benjamin Netanyahu have discussed the Syrian crisis in Russia’s Black Sea resort of Sochi, amid growing concerns over Russian arms supplies to Damascus. President Putin discussed ways to stabilise the region with the Israeli prime minister. “I certainly expect to speak with you about the situation in the region, including around Syria,” Putin said at the start of the talks. Netanyahu suggested discussing ways to bring stability to the region, to make it safer and more peaceful. “Together we can think about how to make it more secure and stable,” Netanyahu said. The visit comes amid growing concerns that Russia will supply the Syrian government with advanced S-300 anti-aircraft missile systems. However, Russia has claimed that it is not planning on further supplies of weapons to Syria, but still has commitments under existing contracts. Netanyahu’s visit to Russia is the third in a flurry of diplomatic activity seeking to find a political solution to the Syrian crisis. It has been discussed in Russia over the past week, with John Kerry and David Cameron visiting Moscow and Sochi respectively. Russia has been at odds with the West over the issue, but the recent visits signify that the two are trying hard to put aside differences to find a solution to the Syrian crisis. Putin and Netanyahu have also discussed bilateral ties, stressing the steady progress in the relations. “I’d like to point out that overall we have very positive tendencies in the bilateral relations,” Putin said. The two leaders also shared a lighter moment with the Russian president praising his Russian language skills. “I’m trying to use our every meeting for this. 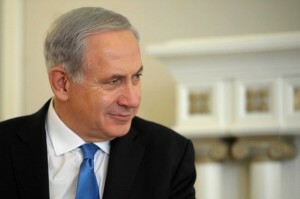 But we understand each other very well in any language,” Netanyahu replied.